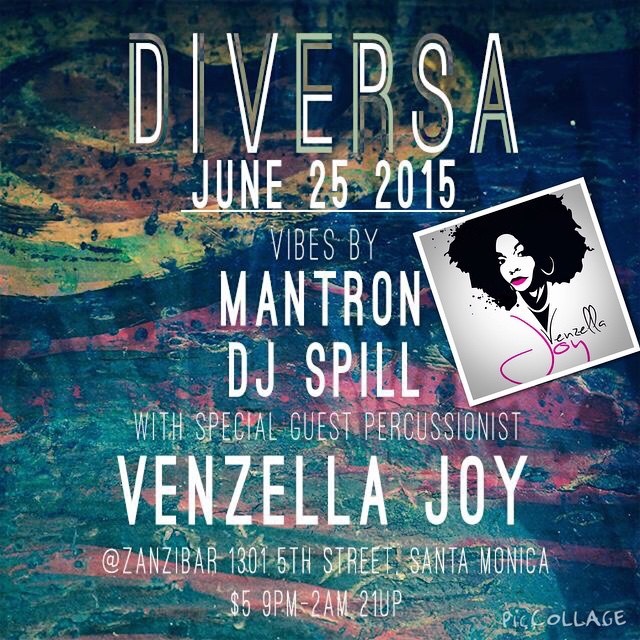 Around LA: DIVERSA With Special Guest Pecussionist Venzella Joy! – Zanzibar [6/25/15] – Be Fearless. Be Flagrant. Catch Buffal native, Venzella Joy (@joythedrummer) at the ZANZI BAR in Santa Monica this Thurs 6/25 from 9PM-2AM with DJ @projectlivela!